Little introduction is needed for Alexander Calder, who is one of the most renowned artists of the twentieth century. Calder gained greatest acclaim for his "mobiles", a termed coined by friend Marcel Duchamp describing Calder's anchored moving sculptures. He was, however, prolific and worked throughout his career in many art forms. He produced drawings, oil paintings, watercolors, etchings, gouache and serigraphy. 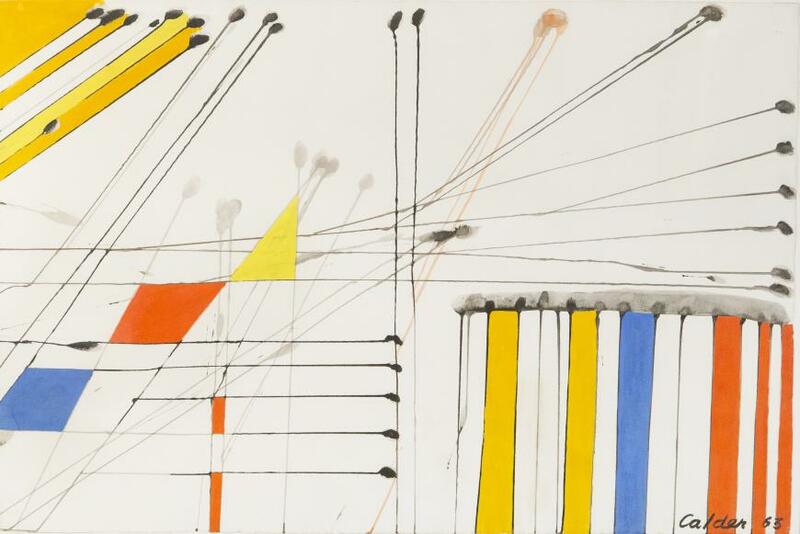 Calder's abstract paintings, such as this impressive example, are characteristically direct, spare, buoyant, colorful, and carefully crafted. There is a feeling of primitivism in this particular painting as well, and it is obvious he has drawn his inspiration from the simplicity of form of African tribal art. Alexander Calder was born in 1898 in Philadelphia, and both his father and grandfather were well-known sculptors. 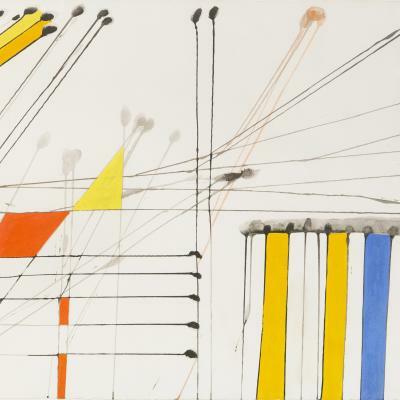 After obtaining his mechanical engineering degree from the Stevens Institute of Technology, Calder worked at various jobs before enrolling at the Art Students League in New York in 1923. In 1936 he moved to Paris where he took some classes at the Academie de la Grande Chaumiere and made his first wire sculptures. By 1928, Calder had gained international recognition as a significant artist after exhibiting in New York, Berlin and Paris. A visit to Piet Mondrian's studio proved pivotal, and Clader began to work in an abstract style, finishing his first non-objective construction in 1931. From the 1940's on, Calder's works, many of them large-scale outdoor sculptures, have been placed in virtually every major city of the Western World. 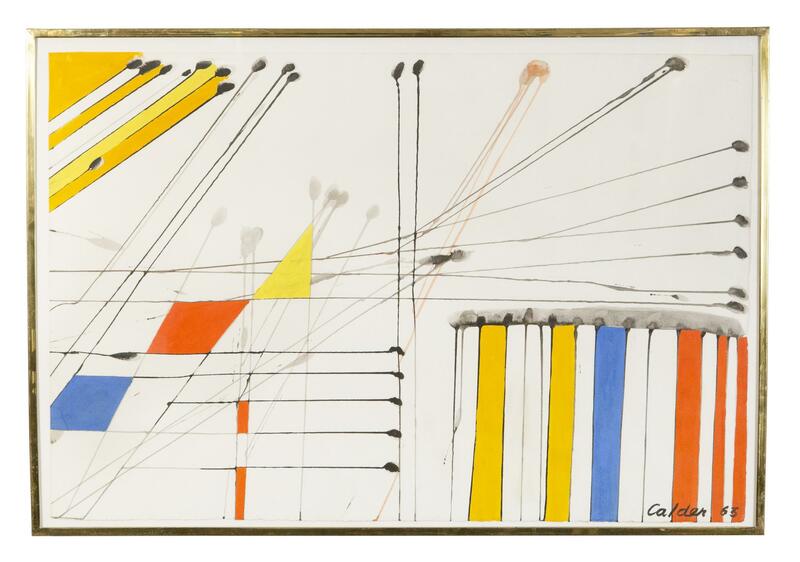 Please notify me when works by Alexander Calder become available.